Endure chilly winter weather in style with our knit wool beanie. 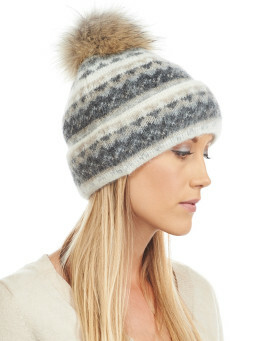 The knit is made from 100% real wool and contains an icelandic pattern that's becoming more and more trendy of late. This patterning is definitely on the upswing once again. The icing on the cake is the big, fluffy coyote fur pom pom. 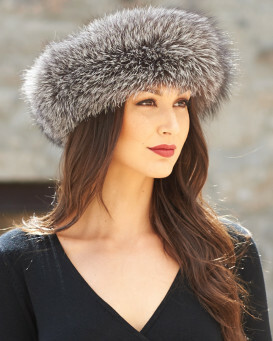 Soft, coyote fur gives you and your hat an extravagant flair. 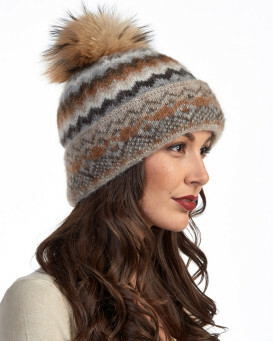 Colors in the coyote fur are amplified by the matching tones in the knitted body of the beanie. 5.0 / 5 from 16 customer reviews. "I love this hat. It is amazing, warm ,looks beautiful ! My rating is 5 stars." "This beanie is exactly what I was looking for. It is beautiful and very warm. I can wear it under my hood when it is cold. It does not itch like wool usually does. I love it very much. It was so easy to order also." "This was my wife's first beanie choice, but it was temporarily out of stock. FurHatWorld notified me it was restocked. So, I immediately ordered it. Timing couldn't have been better; it arrived yesterday on Valentine's day. It is a great beanie that fits well and the colors are fantastic. She is a very camper. Thank you FurHatWorld. Y'all "Rock". Woo Hoo ????" 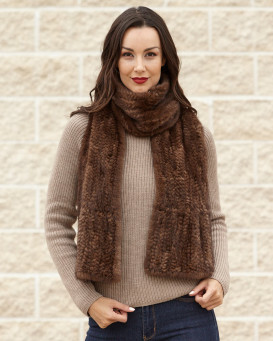 "I am an author and artist and travel a lot - I have loved all your fur assessories as apart from the obvious extra warmth they are casual/chic - just what I need and the real thing yet not expensive! Thank you Ginny"
"Just got the hat yesterday. Wore it today and the temperature is 19 degrees out. It kept my head and ears warm. Love the way it looks and the way it was packaged in the box. Also great company to deal with. You will not be disappointed." "Well worth the wait, thank you!" "Very high quality & warm too. Worth it." "Wow this hat feels warm, think I’m going to be very toasty come winter. Comfortable size, soft thick wool, probably be a whil before the rain seeps through"